I recently received this book for review called, “Drawing and Painting Imaginary Animals” By Carla Sonheim. I met Carla briefly a couple of years ago at Artfest and she was funny and delightful. Later, I purchased her e-course called The Art of Silliness and did it with my kids over the summer. They recognized the book immediately and knew it had to do with the Art of Silliness. They were thrilled and snatched the book right up, ready to get busy making something from her book and we did. I have to say, I am incredibly impressed with this book. It’s packed full of great ideas, projects and mixed-media techniques, many of which I have added to my repertoire. The book is inspiring, fun, creative, imaginative and releases all pressure and expectations that we artists often place on ourselves. Instead, it gives you permission to let go, have fun and enjoy yourself. Just doodle, scribble and find the hidden creature within. 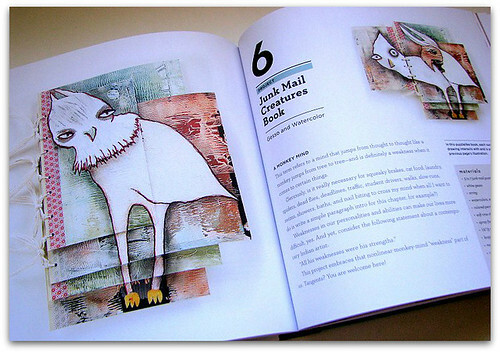 The book also makes you look at things differently–finding a face or creature in sidewalk cracks, the texture in the wall, in a random scribble or blob. My kids have been looking for hidden animals everywhere! 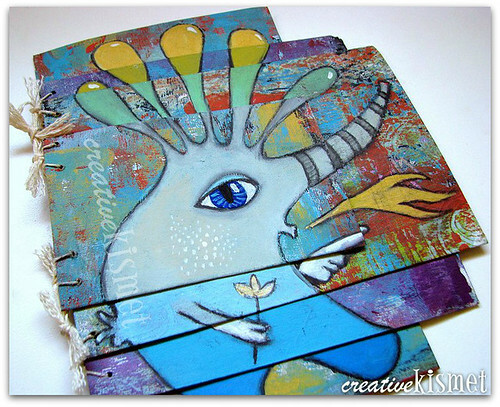 We’ve made Scribbles Galore, Imaginary Animals with watercolors and these Junk Mail Creature Books. It was so fun to make one creature merge into the next, then the next–like a puzzle. I highly recommend this book. It will really get you unstuck, set you free, and get the imaginary juices flowing. This entry was posted in Art, Mail box, Reading. Bookmark the permalink. These are wonderful! Oh my! 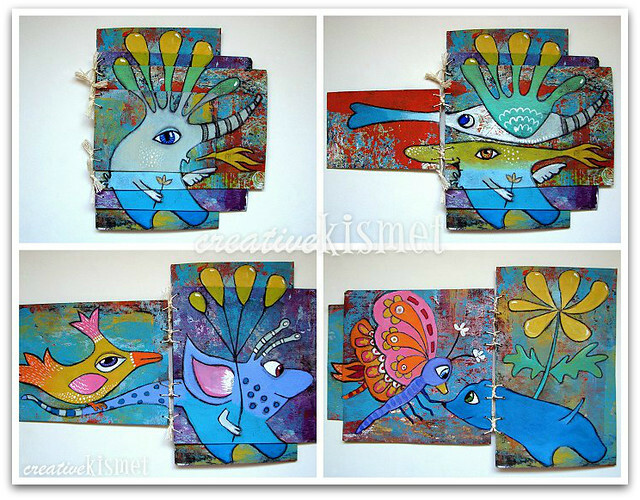 I love Carla Sonheim’s books and her style, and mixed with your style it’s made even better. Awesome! Absolutely love your creatures!!! what a great ideas. Your kids are so lucky to do projects like this with you. awesome. 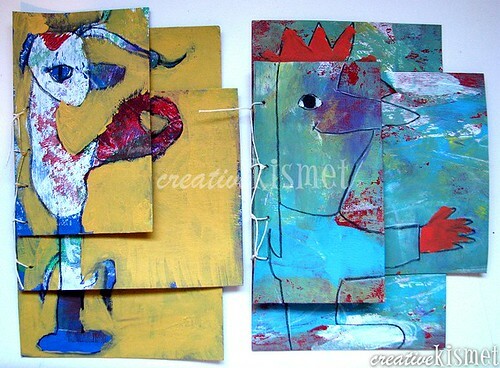 Oh my goodness, Regina, these imaginary animals are wonderful ~ thanks so much for sharing your amazing creativity! eeeeeee! I totally want your book with all the kooky animals! MAN its so great!!! Makes me happy just to look at it! :o) I am going off to amazon to order a copy!! too fun! :o) Cant wait to get our ornament swapp going! Have a super day my sweets!! Looks like a really fun book. I love that the style was so unique that it was obvious to your kids that the book was related to the course. That shows that the artist/author’s true voice is shining through. Completely adorable, Regina! Carla is such an inspiration… and YOU are too! I love these! Any plans to maybe add some to your Etsy store? My daughter would love one. Would make a great children’s book, too.